Does this mean my computer can not play this game? I'm not prefectly sure, since the game is still new and everything. Is it specific or is it everything? Like is it only the openning scenes + Movies, just the menu, just...? It may be that your graphics or video cards aren't up to it. Which one do you have? /How old is the computer you play it on? And which windows do you have? Cos Vista is a pain in the backside for most games. Make sure you have all updates available for your computer and drivers aswell. The picture never shows up. I can tell it gets to the menu screen because if I start randomly clicking i can here it clicking a button to go to a campaign or something. On the side of my computer it says pavilion p6234f-b bundle. The computer is probably 2 or 3 years old. And it has Windows 7. I've looked around for you and the problem is definitely your graphics card which isn't powerful enough to run the game. Also I'm afraid you won't be able to upgrade it as the computer hasn't got a large enough power supply. Sorry mate. Good luck, and make sure you join our clan once you find a way to play it! Like Liam said, good luck and don't forget to join our clan when you can play it. And of course feel free to ask for advice here if you need any. So if I wanted to play this game I would have to get a new computer and there is no way I can use this one? If you really want to you can upgrade the power supply and the graphics card. From what I've learned via Google your PC's motherboard does have a PCI-e slot for a videocard available, and replacing the power supply shouldn't be a problem. This article will help you find a graphics card for your budget. When you have decided what you want you can pick a PSU. For your graphics card of choice find out what it's power consumption (sometimes called TDP) is. Your current power supply is 250W, so the new one should be at least 250 + your graphics card consumption. A little more isn't too bas as it gives you a small margin, but don't go overboard on it as it'll only cost you money. The power supply unit (PSU) is the part you need to replace. What it does is it converts the electricity from the socket to electricity that the PC components can use. 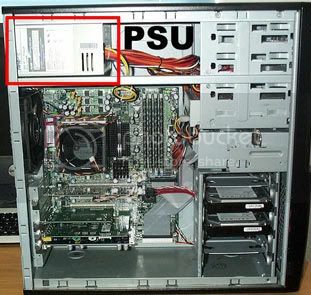 The PSU is usually located at the back and top of the case. Replacing it is a matter of unscrewing the old one and screwing the new one in place, and then connecting all the components to it again. If you want you can go get prices etc and we'll let you know if they're good buys or not? It doesn't annoy anyone that they keep making games that you need a super-computer for? I suppose. I bought my laptop especially to be able to play Shogun 2. Such are the times I guess, as technology moves on (very quickly nowadays) the userbase wants to see better and better games to accompany it. I built this computer just over 2 years ago for £700 and it can play the game almost maximum settings on everything. A large portion of the PC gaming userbase would not be satisfied with Medieval 2 Graphics. It's similar to buying a new console every 5 or so years. My computer couldn't play the battles, but it could play the campaign..
Nah Empire was out two years ago. But that's what I'm saying, the game requirements advance as does the hardware requirements. The power supply is not difficult to replace and very easy to find. It will definitely be much less expensive to replace the power supply and graphics card than it would be to replace the whole PC. Just the PSU; so you can find it if it is not in the top, rear of the box. The plug from the wall to the computer will go into the power supply; so you can just follow the plug. Here's a video of how to replace the PSU. I think the guy said he was replacing his 300W PSU with a 650. That is seriously overboard. I run a dual core processor and graphics card that can just barely handle the game with a 305W PSU, and you shouldn't need anymore than that. As for the off-topic discussion, I'm with you Ele. I don't need fancy graphics. In fact, I think gameplay has suffered in a lot of cases as a result of the attempt to make the game prettier. I still love and play X-Com and Master of Magic. Those are two of my favorite games of all time. They're still challenging, fun and addictive and they came out in the early- to mid-1990s. The graphics are awful by today's standards and there are bugs that would never persist in today's market with downloadable patches, but the gameplay is still exceptional. It's not that frequent of a cycle anymore. A decent vidcard bought now, from new generation, will last a good 4 years, if not 5. Admittedly, you'll have to turn graphics settings lower and lower as more times goes on, but games willr emain playable unless there's a huge graphical breakthrough. so if i buy one that is kind of int he middle for both how much woudl it cost? Here's a fairly good guide. I recommend a Radeon 6850 if you can spare the cash for it, they're pretty quality cards and aren't that bad on the pocketbook, all things considered. If that's out of your range, there's some good cards for a lower price there too.